Replacing your roof is a major home improvement project. It is the type of project you only want to do once to your house. At Intelligent Design, we’ve replaced a lot of roofs and determined there are things you can do to extend the life of your roof, after getting it replaced by our company. By doing the following, you will get the most wear out of your roof, which saves your household money. Although your trees on your property help you improve the value of your home, they can damage your roof. Leaves that fall onto your roof from nearby trees can deteriorate on your roof and damage shingles. Additionally, low-hanging branches from trees can damage your shingles, increasing the likelihood that you will need repair. By fixing these small problems, you can potentially eliminate the need for roof repair. You should actively monitor your roof on a regular basis. One of the best ways to monitor your roof is to have a professional come to your home an assess your roof twice each year. With a professional inspecting your roof twice each year, you increase the chances of mitigating potentially dangerous roofing situations. Your gutters work in conjunction with your roof to protect the inside of your home. If your gutters are filled with debris, they can’t effectively protect your roof and the siding on your home. 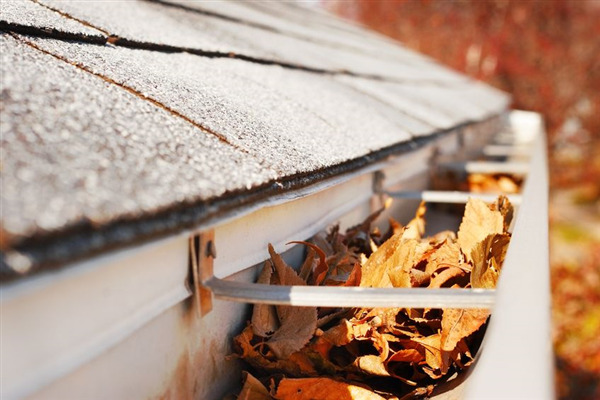 You should have a professional clean your gutters at least twice each year when the seasons change. By doing so, you prevent water damage that may stem from overflow from your gutters.